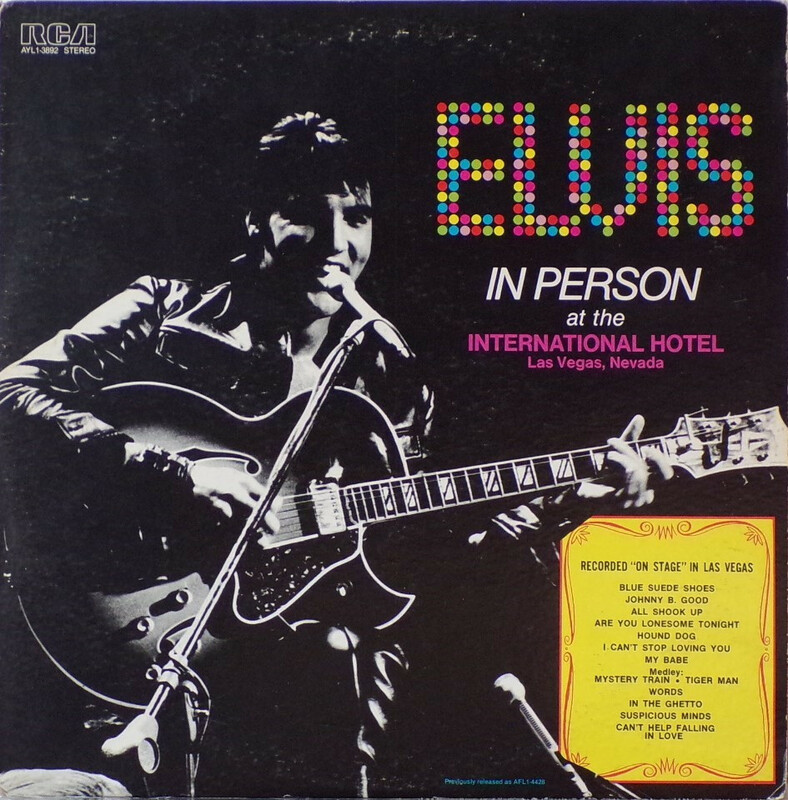 ​​This single LP is one half of the double album "LSP-6020 From Memphis to Vegas / From Vegas to Memphis". 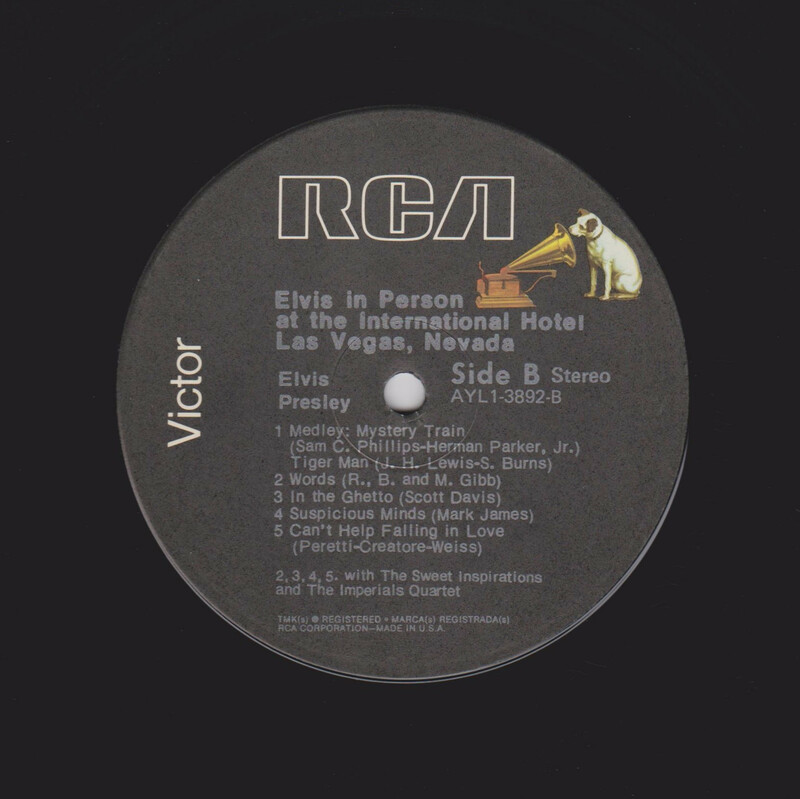 In November 1970, RCA reissued this as an individual album. It has been issued separately ever since. 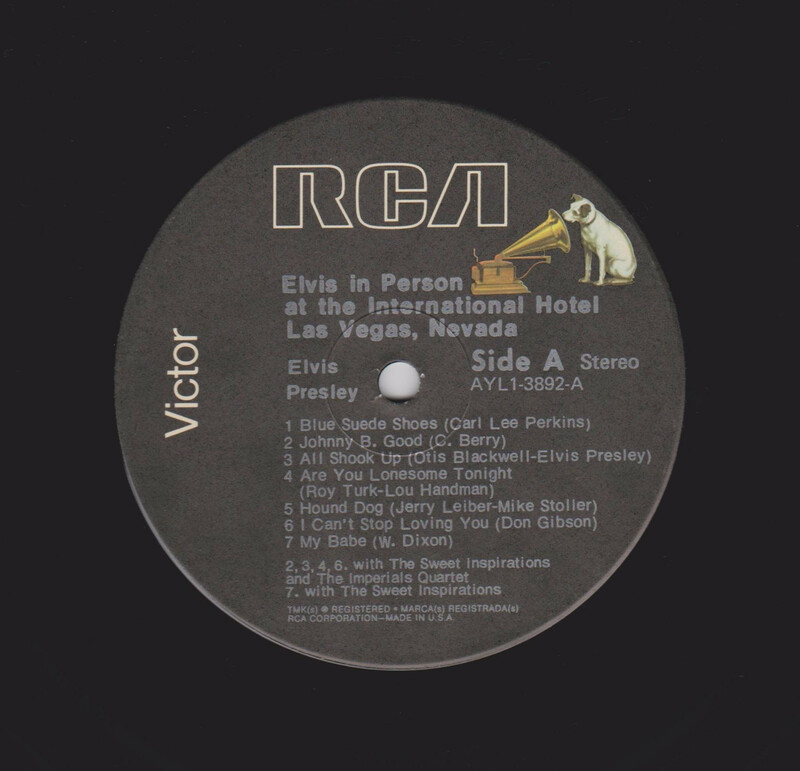 Rear Cover : 3 Photos of Elvis. Catalogue number top right. Song titles to the top right. Printed in U.S.A. bottom centre. 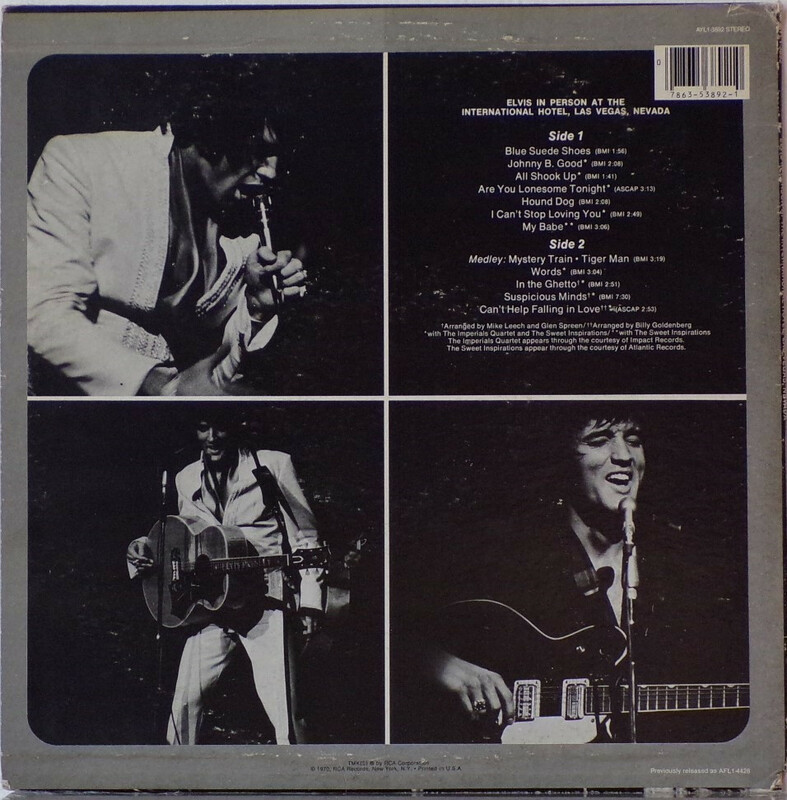 *NOTE* Front and Rear covers "Previously released as AFL1-4428" bottom right.